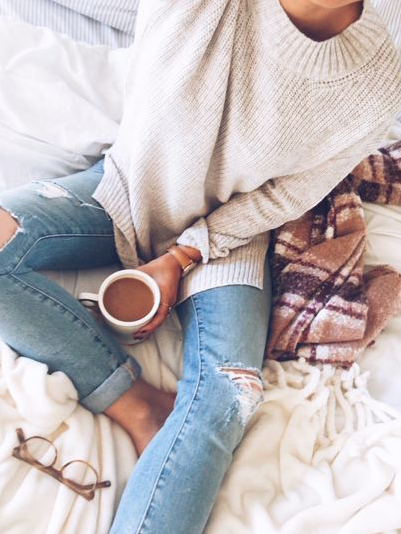 The number one closet staple for Fall is a cozy oversized sweater. These are perfect to curl up in by the fire or to keep you warm all day long! You can't go wrong with a good pair of distressed jeans. Dress them up or down for any event this Fall. Bonus- you can wear them year round! You can go with a heel or flat, but either way you'll want to wear them 24/7. 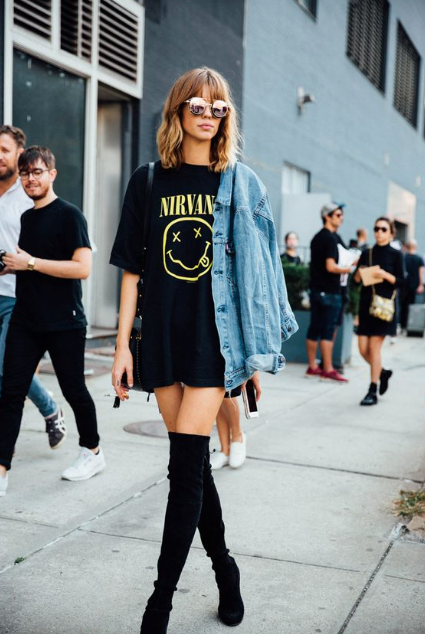 Knee high boots are amazing, because they instantly slim down and lengthen your legs. 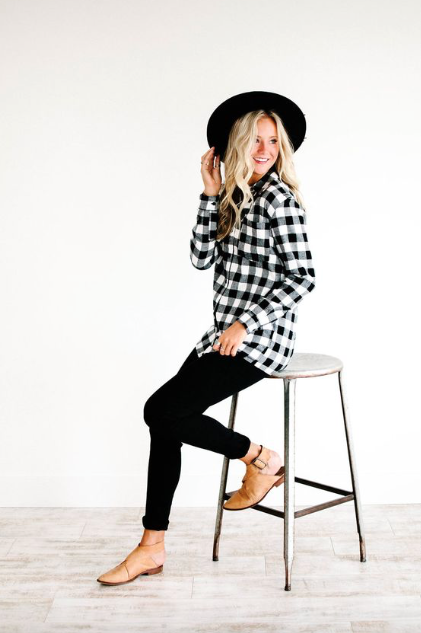 A plaid button down is the perfect way to show your love for Fall. Throw it on if you're in a hurry, layer it, or dress it up with a skirt. The options are endless! 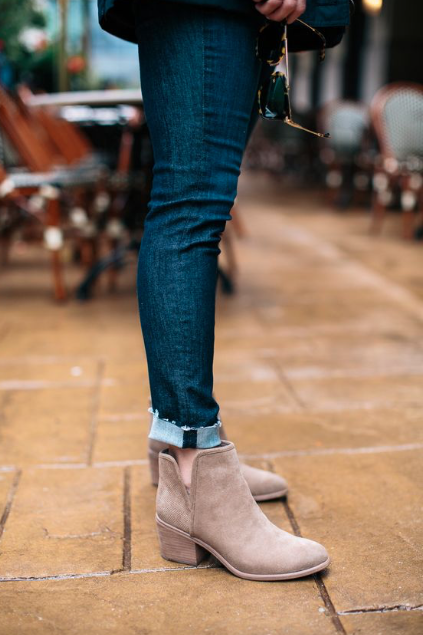 Why not change up your shoe game with a fun pair of mules?! Velvet, patterned, metallic- whichever you choose, you will be killing the fashion game. 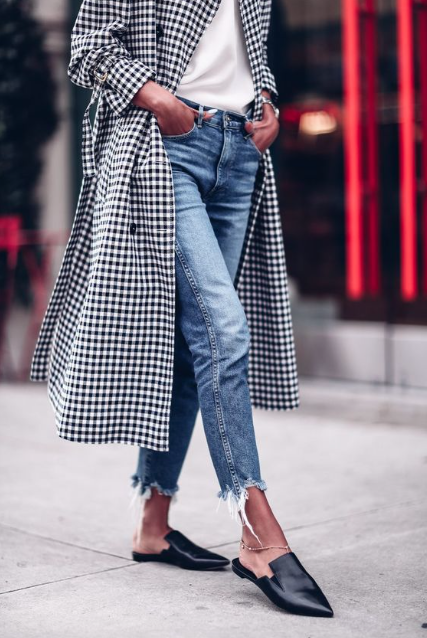 Once cooler weather hits, you've got to have a stylish coat to pull out. Go for something long and comfy, that will last you through Winter. If you don't already have a pair, you are missing out. These make life 100 times better by providing a mixture of comfort and style.